The zip-lock bag is a practical essential in homes, in the food industry, in regular packaging, offices, probably even in evidence documentation for law enforcement. It is reliable, cheap but somehow makes me guilty of using these one-time product. But let’s admit, no matter how guilty you are, you can’t just simply stop using the zip-lock bag and don’t think about re-using them since it is kind of gross. 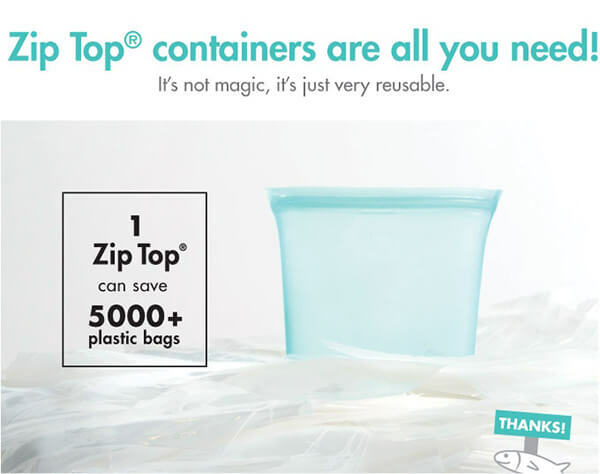 Zip Top is designed as a saver! 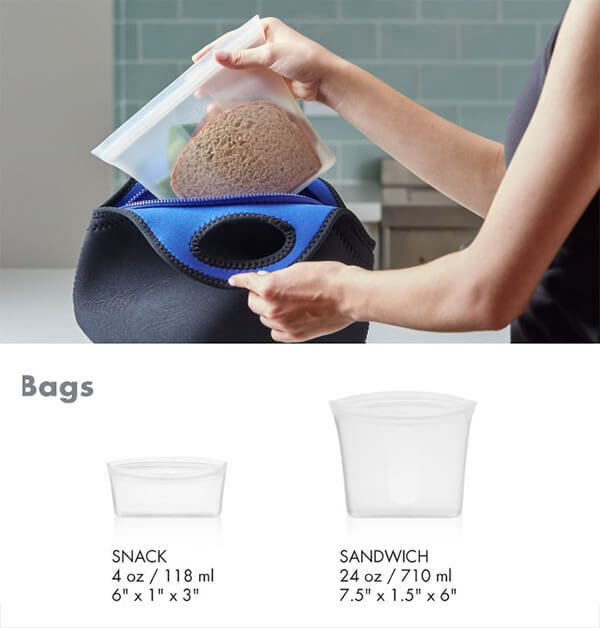 By switching the plastic construction to silicone, it increases the bag’s lifespan. 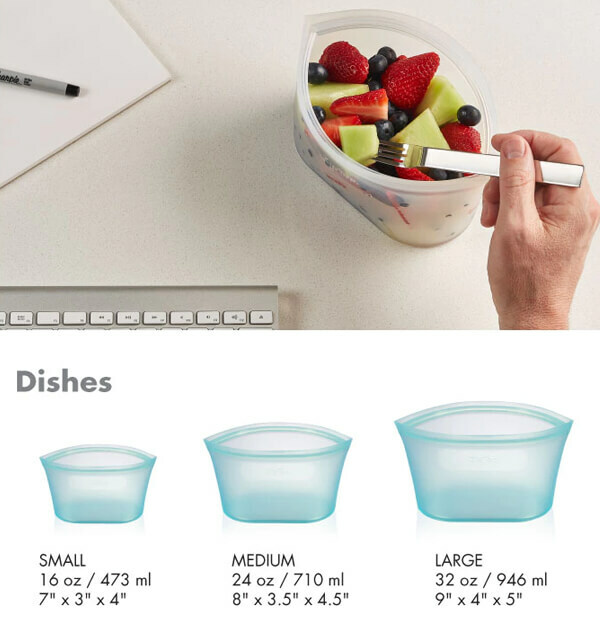 It allows you to store practically anything in it, it can be infinitely reused, washed in the dishwasher, placed in the microwave, etc. The flexible design of the Silicone Zip Top comes with a flat base, allowing it to stand on tables and other surfaces, and has the signature zip-to-seal band running across the top. The thick silicone construction and reliable zip/clip mechanism at the top makes it much more secure than regular zip-lock bags. 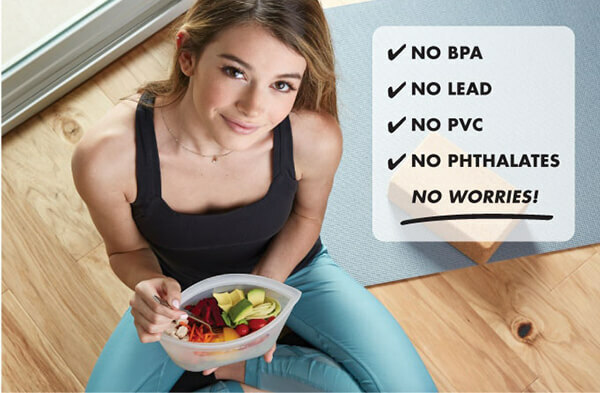 The platinum silicone used to build the Silicone Zip Top bags make them infinitely reusable, practically indestructible, unstainable too, impervious to heat or cold, dishwashable, and most importantly, food-grade. 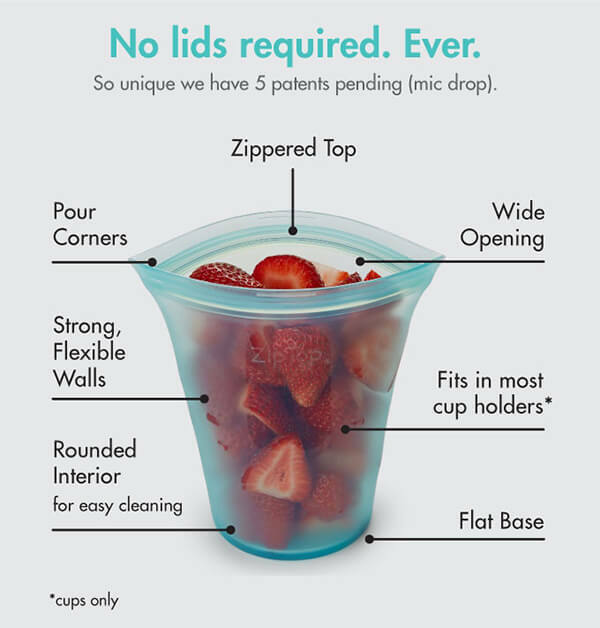 The normal zip-lock bag probably is only good for solid but the Silicone Zip Tops can be used to store both liquids and solids. Regardless of what you store in it, from tomato soup to coffee powder, to even makeup, silicone is easy to wash, doesn’t stain or smell. Availability in 8 different sizes, it is perfect for all your storage needs. And you know what I like it most? It is soft and flexible. 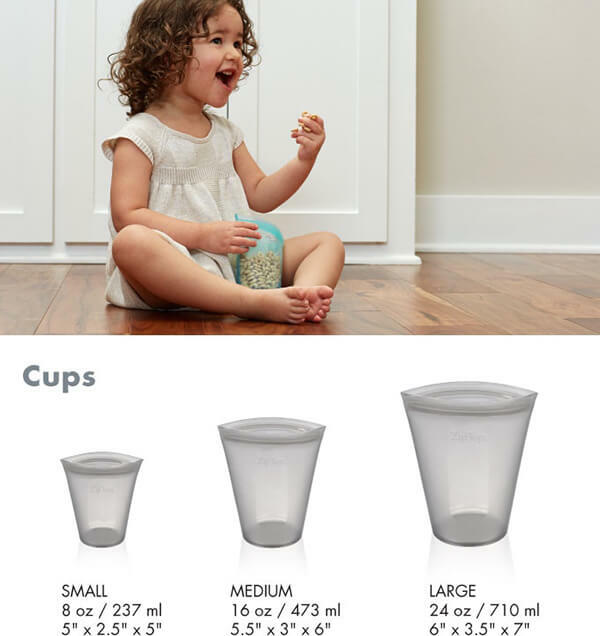 Compared with rigid container, it is more easy to carry during travel and probably save more space. Although it does have some drawback, you can’t really put easily squeezed or crashed things inside since it is soft. But anyway, I still think it is a genius invention.